Posted by Perfect House Team on Thursday, September 7th, 2017 at 10:50pm. Intruders have a greater chance of being recognized if caught on camera, allowing your intruder to be one of the only 13.6 percent of burglars arrested. A live feed via mobile monitoring provides users with even more power, as they can identify a burglar before the burglar even leaves the premises. Integrating a smart garage into your home security system helps protect your car by closing your garage door when you forget. Leaving garage doors open, even if you are home, is a quiet opportunity for a burglar that puts your belongings and car at risk. Smart garages allow you to close your garage door from a mobile device, or automatically shut the garage door if it was left open for an extended period of time. Image sensor technology paired with smart lights trigger light in dark places burglars are likely to target, like side doors or windows. Smart light technology will save energy by eliminating the need to leave side door lights on all night, or 24/7 to feel safe. To avoid false alarms, you can schedule lights to turn on and off at specific times you know you will be sleeping, out of town or at work. 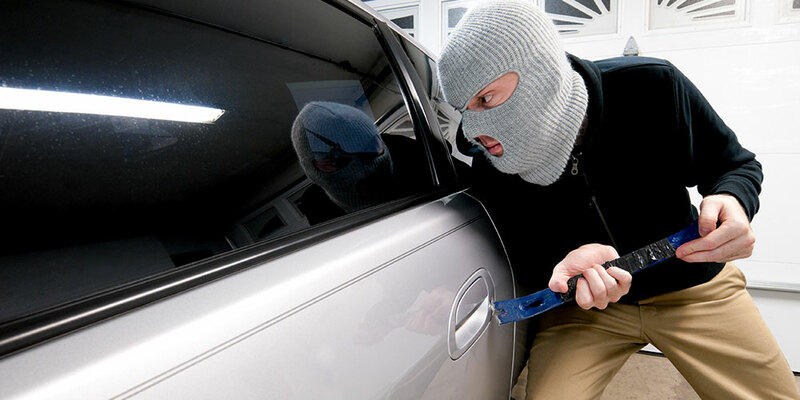 Lock your car doors and roll up your windows even when your vehicle is inside the garage. Thieves can use a coat hanger to open locks through a cracked open window. If you park outdoors, always keep your doors locked, and park in a well-lit area. Get in the habit of keeping valuables locked in your glove compartment or hidden away under a seat any time you leave your car. Even spare change should be tucked away. Never leave your keys in the ignition. It is tempting to run inside and leave the car running, but always take the extra time to take your keys with you. How else do you keep your car safe at home? Share in the comment section below. Thank you so much to Rick Simpson at Vector Security for this great write up that not only takes our homes into account, but our vehicles too.